New Test Create (NTC) Multi-Test Is Here! The New Test Create (NTC) Multi-Test is here. It’s never been easier to create multiple test collections that launch and report as a single test. Simply type a few characters to find the tests you want and add them. Visualize the combined result, make local overrides and launch! Need to monitor more than simple URLs - e.g. a page with login? 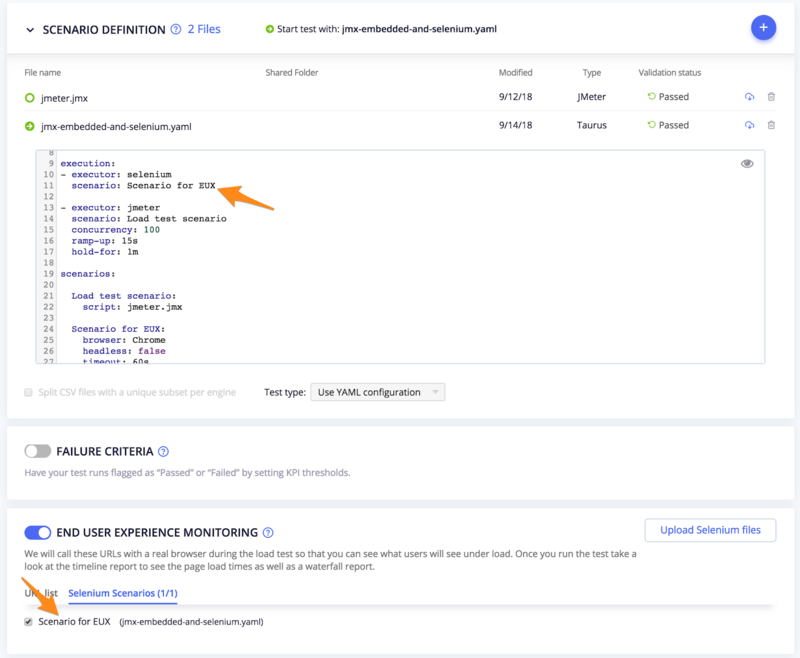 Just upload one or more Selenium scripts recorded in Taurus YAML by the updated Chrome extension, enable End User Experience Monitoring and we’ll capture real-browser journeys throughout your load test. The Usage Report download CSV now includes a “Test Ended” column. Access the Usage Report in Settings > Account and Settings > Workspace (requires you to be an account admin or workspace manager, respectively).